The end of a significant relationship initiates painful and powerful change in one's life, daily habits, and even in one's personal identity. 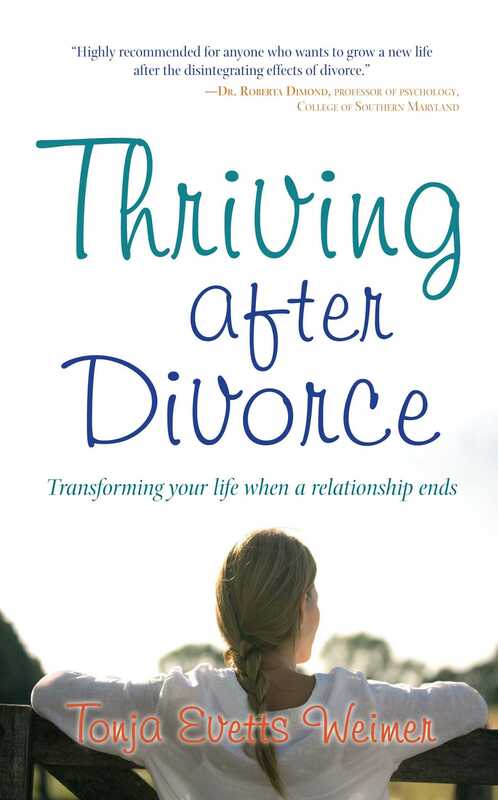 In Thriving After Divorce, author and relationship coach Tonja Evetts Weimer offers readers a grounded approach to growing through the difficult life transitions that arise from the breaking of our most defining partnerships. Weimer's book will guide readers through a potentially tumultuous time to a safe place by showing how to put one's actions in alignment with one's needs and values for positive outcomes that will strengthen and prepare the heart for a new path. The key is in learning how to create an authentic new life, and therefore, a different relationship with the partner in the absence of shared romantic love. This relationship allows the possibility of any continuing combined goals, while building and sustaining necessary boundaries and guidelines for new interactions. Weimer shows readers how to deal with shared responsibilities involving children, mutual business interests, the care of family members, and other situations that require both parties to work together in the new space of the relationship. Thriving After Divorce speaks to anyone who has gone through a breakup, providing hope, alternatives, empowerment, and inspiration to find a new way to relate to former situations and relationships that, in the past, could have been fractious. Tonja Evetts Weimer has an M.A. in Human Development, is a Master Certified Single’s Relationship Coach and a Certified Life Coach with the International Coach Federation (ICF). She is a graduate of the Relationship Coaching Institute, and the Institute for Life Coach Training. She has been a keynote speaker in almost every U.S. state, as well as in Europe and India. She has appeared on numerous regional and national television interview shows, including CNN’s ShowBiz Today. Tonja was selected to be the Dating Expert for the USA/NBC TV Network mini-series, “The Starter Wife.” She wrote a weekly column for their website, and produced three self-inquiry tests for their readers and viewers. Tonja is also an award-winning newspaper columnist, and has written a weekly dating column for five years that is carried by newspapers in hundreds of cities and towns across America and Canada. She has also been published in New Woman, Hope, Grand, and House Beautiful Magazines. Her columns and articles have won three Matrix Awards. —Sam Horn, author of Tongue Fu! and What's Holding You Back?